What is a sacrament? Is baptism a sacrament, ordinance or both? The Reformers, and the great body of Protestant divines, in putting forth the definition of the sacraments in general, or of a sacrament as such, intended to embody the substance of what they believe Scripture to teach, or to indicate, as equally applicable to both sacraments; and in laying down what they believe concerning the general objects and the ordinary effects of the sacraments, they commonly assume, that the persons partaking in them are rightly qualified for receiving and improving them,—and further, and more specially, that the persons baptized are adults. It is necessary to keep these considerations in view in interpreting the general description given of sacraments and of baptism, in our Confession of Faith and the other Reformed confessions; and with these assumptions, and to this extent, there is no difficulty in the way of our maintaining the general principle, which can be established by most satisfactory evidence,—namely, that the fundamental spiritual blessings, on the possession of which the salvation of men universally depends,—justification and regeneration by faith,—are not conveyed through the instrumentality of the sacraments, but that, on the contrary, they must already exist before even baptism can be lawfully or safely received. The general tenor of Scripture language upon the subject of baptism applies primarily and directly to the baptism of adults, and proceeds upon the assumption, that the profession implied in the reception of baptism by adults,—the profession, that is, that they had already been led to believe in Christ, and to receive Him as their Saviour and their Master,—was sincere, or corresponded with the real state of their minds and hearts. It is necessary, therefore, to form our primary and fundamental conceptions of the objects and effects of baptism in itself, as a distinct subject, and in its bearing upon the general doctrine of the sacraments, from the baptism of adults and not of infants. The baptisms which are ordinarily described or referred to in the New Testament, were the baptisms of men who had lived as Jews and heathens, and who, having been led to believe in Christ,—or, at least, to profess faith in Him,—expressed and sealed this faith, or the profession of it, by complying with Christ’s requirement, that they should be baptized. This is the proper, primary, full idea of baptism; and to this the general tenor of Scripture language upon the subject, and the general description of the objects and ends of baptism, as given in our Confession of Faith, and in the other confessions of the Reformed churches, are manifestly adapted. As, in the condition in which we are placed in providence, we but seldom witness the baptism of adults, and commonly see only the baptism of infants,—and as there are undoubtedly some difficulties in the way of applying fully to the baptism of infants the definition usually given of a sacrament, and the general account commonly set forth of the objects and ends of baptism,—we are very apt to be led to form insensibly very erroneous and defective views of the nature and effects of baptism, as an ordinance instituted by Christ in His church, or rather, to rest contented with scarcely any distinct or definite conception upon the subject. Men usually have much more clear and distinct apprehensions of the import, design, and effects of the Lord’s Supper than of Baptism; and yet the general definition commonly given of a sacrament applies equally to both, being just intended to embody the substance of what Scripture indicates as equally applicable to the one ordinance as to the other. 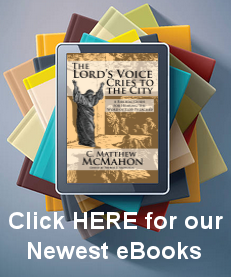 If we were in the habit of witnessing adult baptism, and if we formed our primary and full conceptions of the import and effects of the ordinance from the baptism of adults, the one sacrament would be as easily understood, and as definitely apprehended, as the other; and we would have no difficulty in seeing how the general definition given of the sacraments in our Confession of Faith and Catechisms applied equally to both. But as this general definition of sacraments, and the corresponding general description given of the objects and effects of baptism, do not apply fully and without some modification to the form in which we usually see baptism administered, men commonly, instead of considering distinctly what are the necessary modifications of it, and what are the grounds on which these modifications rest, leave the whole subject in a very obscure and confused condition in their minds. These statements may, at first view, appear to be large concessions to the anti-paedo-baptists, or those who oppose the lawfulness of the baptism of infants, and to affect the solidity of the grounds on which the practice of paedo-baptism, which has ever prevailed almost universally in the church of Christ, is based. But I am persuaded that a more careful consideration of the subject will show that these views, besides being clearly sanctioned by Scripture, and absolutely necessary for the consistent and intelligible interpretation of our own standards, are, in their legitimate application, fitted to deprive the arguments of the anti-paedo-baptists of whatever plausibility they possess. It cannot be reasonably denied that they have much that is plausible to allege in opposition to infant baptism; but I am persuaded that the plausibility of their arguments will always appear greatest to men who have not been accustomed to distinguish between the primary and complete idea of this ordinance, as exhibited in the baptism of adults, and the distinct and peculiar place which is held by the special subject of infant baptism, and the precise grounds on which it rests. Paedo-baptists, from the causes to which I have referred, are apt to rest contented with very obscure and defective notions of the import and objects of baptism, and to confound adult and infant baptism as if the same principles must fully and universally apply to both. And in this state of things, when those views of the sacraments in general, and of baptism in particular, which I have briefly explained, are pressed upon their attention, and seen and acknowledged to be well founded, they are not unlikely to imagine that these principles equally rule the case of infant baptism; and they are thus prepared to see, in the arguments of the anti-paedobaptists, a much larger amount of force and solidity than they really possess. Hence the importance of being familiar with what should be admitted or conceded, as clearly sanctioned by Scripture, with respect to baptism in general, in its primary, complete idea,— estimating exactly what this implies, and how far it goes; and then, moreover, being well acquainted with the special subject of infant baptism as a distinct topic,—with the peculiar considerations applicable to it, and the precise grounds on which its lawfulness and obligation can be established. It is not my purpose to enter upon a full discussion of infant baptism, or an exposition of the grounds on which the views of paedo-baptists can, as I believe, be successfully established and vindicated. I shall merely make a few observations on what it is that paedo-baptists really maintain,—on the distinct and peculiar place which the doctrine of infant baptism truly occupies,—and on the relation in which it stands to the general subject of baptism and the sacraments; believing that correct apprehensions upon these points are well fitted to illustrate the grounds on which Let me then, in the first place, remark that intelligent paedobaptists hold all those views of the sacraments and of baptism which I have endeavoured to explain, and are persuaded that they can hold them in perfect consistency with maintaining that the infants of believing parents ought to be baptized. There is nothing in these views peculiar to the anti-paedo-baptists; and there is, we are persuaded, no real advantage which they can derive from them in support of their opinions. These views are clearly sanctioned by our Confession of Faith; while, at the same time, it contains also the following proposition as a part of what the word of God teaches upon the subject of baptism: “Not only those that do actually profess faith in and obedience unto Christ, but also the infants of one or both believing parents are to be baptized.” Now, let it be observed that this position is all that is essential to the doctrine of the paedo-baptists, as such. We are called upon to maintain nothing more upon the subject than this plain and simple proposition, which merely asserts the lawfulness and propriety of baptizing the infants of believing parents. Let it be noticed also, that the statement is introduced merely as an adjunct or appendage to the general doctrine of baptism; not as directly and immediately comprehended under it, any more than under the general definition given of a sacrament, but as a special addition to it, resting upon its own distinct and peculiar grounds. This is the true place which infant baptism occupies; this is the view that ought to be taken of it; and I am persuaded that it is when contemplated and investigated in this aspect, that there comes out most distinctly and palpably the sufficiency of the arguments in favour of it, and the sufficiency of the objections against it. On this, as on many other subjects, the friends of truth have often injured their cause, by entering too fully and minutely into explanations of their doctrines, for the purpose of commending them to men’s acceptance, and solving the difficulties by which they seemed to be beset. They have thus involved themselves in great difficulties, by trying to defend their own minute and unwarranted explanations, as if they were an essential part of the Scripture doctrine. It is easy enough to prove from Scripture that the Father is God, that the Son is God, and that the Holy Ghost is God, and that they are not three Gods, but one God; but many of the more detailed explanations of the doctrine of the Trinity which have been given by jts friends, have been untenable and indefensible, and have only laid it open unnecessarily to the attacks of its enemies. In like manner, we think it no difficult matter to produce from Scripture sufficient and satisfactory evidence of the position, that the infants of believing parents are to be baptized; but minute and detailed expositions of the reasons and the effects of infant baptism are unwarranted by Scripture; they impose an unnecessary burden upon the friends of truth, and tend only to give an advantage to its opponents. The condition and fate of infants, and the principles by which they are determined, have always been subjects on which men, not unnaturally, have been prone to speculate, but on which Scripture has given us little explicit information beyond this, that salvation through Christ is just as accessible to them as to adults. One form in which this tendency to speculate unwarrantably about infants has been exhibited, is that of inventing theories about the objects and effects of infant baptism. These theories are often made to rest as a burden upon the scriptural proof of the lawfulness and propriety of the mere practice itself; and thus have the appearance of communicating to that proof, which is amply sufficient for its own proper object, their own essential weakness and invalidity. It is manifest that, from the nature of the case, the principles that determine and indicate the objects and effects of baptism in adults and infants, cannot be altogether the same; and the great difficulty of the whole subject lies in settling, as far as we can, what modifications our conceptions of baptism should undergo in the case of infants, as distinguished from that of adults; and, at the same time, to show that, even with these modifications, the essential and fundamental ideas involved in the general doctrine ordinarily professed concerning baptism are still preserved. The investigation even of this point is, perhaps, going beyond the line of what is strictly necessary for the establishment of the position, that the infants of believing parents are to be baptized. But some notice of it can scarcely be avoided in the discussion of the question. The scriptural evidence, in support of the position that the infants of believing parents are to be baptized, consists chiefly in the proof which the word of God affords, to the following effect: —that, in the whole history of our race, God’s covenanted dealings with His people, with respect to spiritual blessings, have had regard to their children as well as to themselves; so that the children as well as the parents have been admitted to the spiritual blessings of God’s covenants, and to the outward signs and seals. of these covenants;—that there is no evidence that this general principle, so full of mercy and grace, and so well fitted to nourish faith and hope, was to be departed from, or laid aside, under the Christian dispensation; but, on the contrary, a great deal to confirm the conviction that it was to continue to be acted on;—that the children of believers are capable of receiving, and often do in fact receive, the blessings of the covenant, justification and regeneration; and are therefore—unless there be some very express prohibition, either by general principle or specific statement —admissible and entitled to the outward sign and seal of these blessings;—that there is a federal holiness, as distinguished from a personal holiness, attaching, under the Christian as well as the Jewish economy, to the children of believing parents, which affords a sufficient ground for their admission, by an outward ordinance, into the fellowship of the church;—and that the commission which our Saviour gave to His apostles, and the history we have of the way in which they exercised this commission, decidedly favour the conclusion, that they admitted the children of believers along with their parents, and because of their relation to their parents, into the communion of the church by baptism. This line of argument, though in some measure inferential, is, we are persuaded, amply sufficient in cumulo to establish the conclusion, that the children of believing parents are to be baptized, unless either the leading positions of which it consists can be satisfactorily proved to have no sanction from Scripture, or some general position can be established which proves the incompatibility of infant baptism, either with the character of the Christian dispensation in general, or with the qualities and properties of the ordinance of baptism jn particular. I do not mean to enter upon the consideration of the specific scriptural evidence in support of the different positions that constitute the proof of the lawfulness and propriety of baptizing the children of believing parents, or of the attempts which have been made to disprove them singly, and in detail. 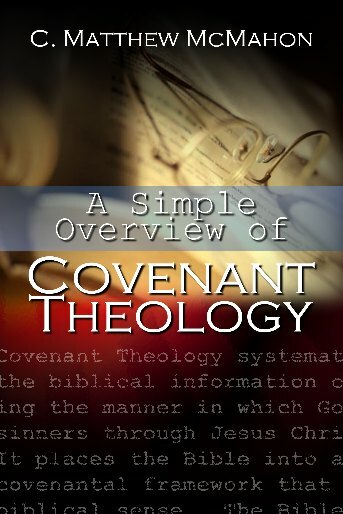 I can only advert to the general allegation, that infant baptism is inconsistent with some of the qualities or properties of the ordinance of baptism, as it is set before us in Scripture. It is manifestly nothing to the purpose to say, in support of this general allegation, that baptism in the case of infants cannot be, in all respects, the same as baptism in the case of adults; or, that we cannot give so full and specific an account of the objects and effects of infant as of adult baptism. These positions are certainly both true; but they manifestly concern merely incidental points, not affecting the root of the matter, and afford no ground for any such conclusion as the unlawfulness of infant baptism. In the case of the baptism of adults, we can speak clearly and decidedly as to the general objects, and the ordinary effects, of the administration of the ordinance. The adult receiving baptism is either duly qualified and suitably prepared for it, or he is not. If he is not duly qualified, his baptism is a hypocritical profession of a state of mind and heart that does not exist; and, of course, it can do him no good, but must be a sin, and, as such, must expose him to the divine displeasure. If he is duly qualified and suitably prepared, then his baptism, though it does not convey to him justification and regeneration, which he must have before received through faith, impresses upon his mind, through God’s blessing, their true nature and grounds, and strengthens his faith to realize more fully his own actual condition, as an unworthy recipient of unspeakable mercies, and his obligations to live to God’s praise and glory. We are unable to put any such clear and explicit alternative in the case of the baptism of infants, or give any very definite account of the way and manner in which it bears upon or affects them individually. Men have often striven hard in their speculations to lay down something precise and definite, in the way of general principle or standard, as to the bearing and effect of baptism in relation to the great blessings of justification and regeneration in the case of infants individually. But the Scripture really affords no adequate materials for doing this; for we have no sufficient warrant for asserting, even in regard to infants, to whom it is God’s purpose to give at some time justification and regeneration, that He uniformly or ordinarily gives it to them before or at their baptism. 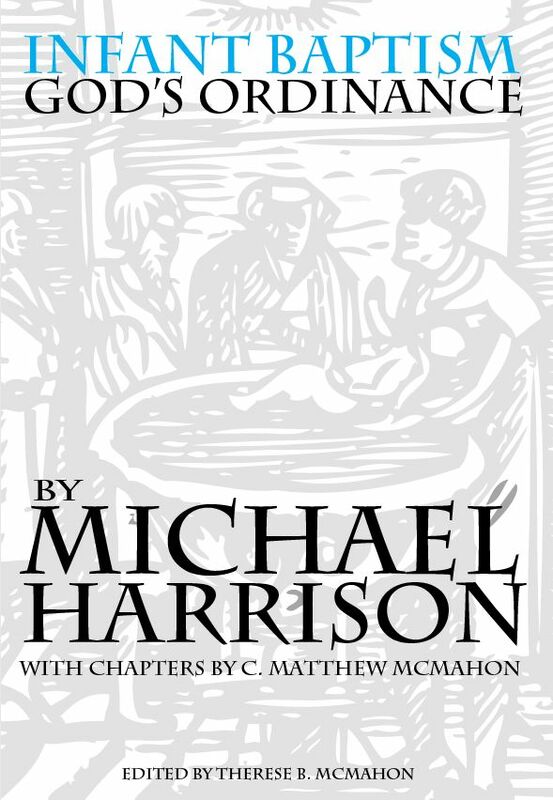 The discomfort of this state of uncertainty, the difficulty of laying down any definite doctrine upon this subject, has often led men to adopt one or other of two opposite extremes, which have the appearance of greater simplicity and definiteness,—that is, either to deny the lawfulness of infant baptism altogether, or to embrace the doctrine of baptismal justification and regeneration, and to represent all baptized infants, or at least all the baptized infants of believing parents, as receiving these great blessings in and with the external ordinances, or as certainly and infallibly to receive them at some future time. But this is manifestly unreasonable. “True fortitude of understanding,” according to the admirable and well- known saying of Paley, “consists in not suffering what we do know, to be disturbed by what we do not know.” And assuredly, if there be sufficient scriptural grounds for thinking that the infants of believing parents are to be baptized, it can be no adequate ground for rejecting, or even doubting, the truth of this doctrine, that we have no sufficient materials for laying down any precise or definite proposition of a general kind as to the effect of baptism in the case of infants individually. But the leading allegation of the anti-paedo-baptists on this department of the subject is, that it is inconsistent with the nature of baptism, as set before us in Scripture, that it should be administered to any, except upon the ground of a previous possession of faith by the person receiving it. If this proposition could be established, it would, of course, preclude the baptism of infants who have not faith, and who could not profess it if they had it. We are persuaded that this proposition cannot be established, though we admit that a good deal which is plausible can be adduced from Scripture in support of it. It is admitted that all persons who are in a condition to possess and to profess faith, must possess and profess it before they can lawfully or safely receive the ordinance of baptism. This can be easily established from Scripture. It is admitted, also, that the ordinary tenor of Scripture language concerning baptism has respect, primarily and principally, to persons in this condition,—that is, to adults,— and that thus a profession of faith is ordinarily associated with the Scripture notices of the administration of baptism; so that, as has been explained, we are to regard baptism upon a profession of faith, as exhibiting the proper type and full development of the ordinance. Had we no other information bearing upon the subject in Scripture than what has now been referred to, this might be fairly enough regarded as precluding the baptism of infants; but in the absence of anything which, directly or by implication, teaches that this previous profession of faith is of the essence of the ordinance, and universally necessary to its legitimate administration and reception, an inference of this sort is not sufficient to neutralize the direct and positive evidence we have in Scripture in favour of the baptism of infants. The only thing which seems to be really of the essence of the ordinance in this respect is, that the parties receiving it are capable of possessing, and have a federal interest in, the promise of the spiritual blessings which it was intended to signify and to seal. Now, the blessings which baptism was intended to signify and seal are justification and regeneration,—that is, the washing away of guilt, and the washing away of depravity. These, and these alone, are the spiritual blessings which the washing with water in the name of the Father, and the Son, and the Holy Ghost, directly signifies and represents. Faith does not stand in the same relation to baptism as these blessings do, and for this obvious and conclusive reason, that it is not directly and expressly signified or represented in the external ordinance itself, as they are. Faith is, indeed, ordinarily, and in the case of all who are capable of it, the medium or instrument through which these indispensable blessings are conveyed; and there is certainly much better scriptural evidence in support of the necessity of faith in order to being saved, than in support of the necessity of a profession of faith in order to being baptized. But yet it is quite certain, that faith is not universally necessary in order to a right to these blessings, or to the actual possession of them. It is universally admitted that infants, though incapable of faith, are capable of salvation, and are actually saved; and they cannot be saved unless they be justified and regenerated. And since it is thus certain that infants actually receive the very blessings which baptism signifies and represents, without the presence of the faith which is necessary to the possession of these blessings in adults,— while yet the Scripture has much more explicitly connected faith and salvation than it has ever connected faith and baptism,— there can be no serious difficulty in the idea of their admissibility to the outward sign and seal of these blessings, without a previous profession of faith. If it be said that something more than a mere capacity of receiving the blessings which baptism signifies and represents, is necessary to warrant the administration of it, since the ordinance is, in its general nature and character, distinguishing, and it is not all infants that are admitted to it—it is not difficult to show, that not only does the admission of this general idea, as pertaining to the essence of the doctrine of baptism, not preclude the baptism of infants, but that we have in their case what is fairly analogous to the antecedently existing ground, which is the warrant or foundation of the administration of it to adults. In the case of adults, this antecedent ground or warrant is their own faith professed; and in the case of the infants of believing parents, it is their interest in the covenant which, upon scriptural principles, they possess simply as the children of believing parents,—the federal holiness which can be proved to attach to them, in virtue of God’s arrangements and promises, simply upon the ground of their having been born of parents who are themselves comprehended in the covenant. If this general principle can be shown to be sanctioned by Scripture,—and we have no doubt that it can be conclusively established,—then it affords an antecedent ground or warrant for the admission of the children of believing parents to the ordinance of baptism analogous to that which exists in believing adults,—a ground or warrant the relevancy and validity of which cannot be affected by anything except a direct and conclusive proof of the absolute and universal necessity of a profession of faith, as the only sufficient ground or warrant, in every instance, of the administration of baptism; and no such proof has been, or can be, produced. My chief object in these observations has been to illustrate the importance of considering and investigating the subject of infant baptism as a distinct topic, resting upon its own proper and peculiar grounds,—of estimating aright its true relation to the sacraments in general, and to baptism as a whole,—and of appreciating justly the real nature and amount of the modifications which it is necessary to introduce into the mode of stating and defending the general doctrine as to the objects and effects of baptism, in the case of infants as distinguished from adults; and I have made them, because I am persuaded that it is when the subject is viewed in this aspect, that the strength of the arguments for, and the weakness of the arguments against, infant baptism, come out most palpably, and that by following this process of investigation we shall be best preserved from any temptation to corrupt and lower the general doctrines of the sacraments, —while at the same time we shall be most fully enabled to show that infant baptism, with the difficulties which undoubtedly attach to it, and with the obscurity in which some points connected with it are involved, is really analogous in its essential features to the baptism of adults, and implies nothing that is really inconsistent with the view taught us in Scripture with respect to sacraments and ordinances in general, or with respect to baptism in particular.